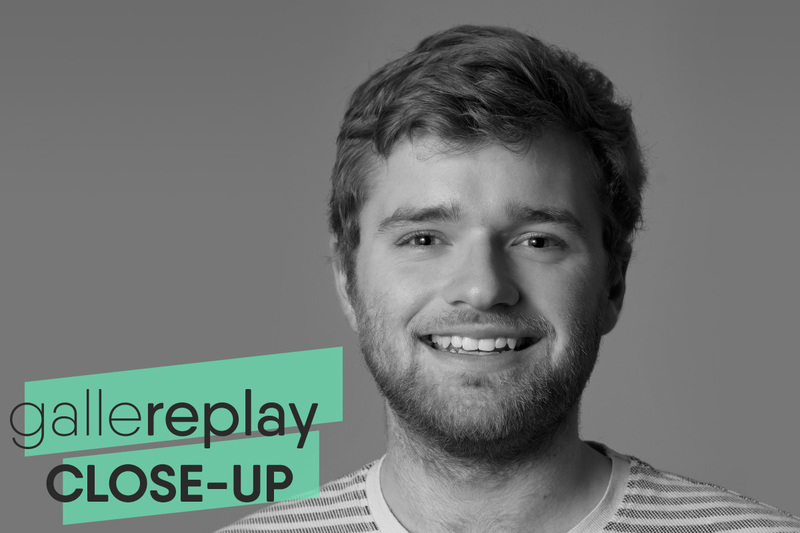 Meet Thomas Moran, gallereplay’s marketing all-rounder and self-proclaimed photography nut. Find out the one thing Tom would change about gallereplay if he could, and why you may find him living amongst hobbits in a few years time. I’m Thomas Moran, an economics graduate and photography nut. At gallereplay I’m responsible for coordinating our marketing efforts. I’m a serious dog enthusiast, have more hobbies than you could shake a stick at, and enjoy bright winter sunlight on cold days. On our website we have a feedback box where users can suggest improvements. We had one suggestion come through which recommended that we eat “free pizza for lunch, every day”. Lydia, one of our co-founders, found this message from an “anonymous” website visitor particularly amusing. Despite it being mentioned every now and then, I’m not sure if anyone ever realised who it was that sent in this excellent suggestion. For now my lips are sealed. I wouldn’t want to ruin the mystery, but I have a feeling that the answer lies close to home. I think cinemagraphs have an important advantage over regular photography. It’s the eye-catching curiosity which help cinemagraphs stand out from the crowd, and the magical impossibility of the endless motion which keeps us staring. Ultimately I feel a cinemagraph is an excellent tool for a brand to grab our attention with, and a great device for artists to add extra impact to their imagery. My dream project would probably take me out in the wild. Perhaps six months in a camper van on assignment from a national tourism board with a beautiful landscape to explore, like the Norwegian Fjords, the beaches of Iceland, or the high peaks of New Zealand. I was lucky enough to spend 6 weeks touring New Zealand in a van a couple years ago. Freely roaming the mountains and shooting everyday is certainly a lifestyle I could get used to. Teleporting would be pretty handy for a landscape photography fan. No more trudging back to the car in the pouring rain, or wondering whether scrambling up a muddy slope for a slightly different perspective of a dull-grey sunset was really worth the effort. These photos were taken in Switzerland, New Zealand, the United Kingdom and at Tom’s home studio. The New Zealand photos were taken by Tom during his travels around the islands. 1. Sun lotion – I’ve been caught out too many times; either up mountains or out on boats, there’s often nowhere to hide. 2. Sketch-pad – For me, good art takes us to new places, different points in time, and invites us to meet new people. For this purpose a camera isn’t much use alone and stranded on a desert island. Unfortunately, a sketch book might not be particularly useful either, as I’m terrible at drawing. At least I would have plenty of time to practise! 3. Baked beans – My school science teacher regularly told us that baked beans are the best single food to take to a desert island, this seems like a good opportunity to put this theory to the test! I’m inclined to agree with him, they’re packed full of protein, fibre and vitamins. I’m a big fan of baked beans. In the future, what would you like to see more cinemagraphs of? into cinemagraphs. I wonder what the likes of Philip Bloom or Zack Arias would do with a cinemagraph. You can find some of Tom’s cinemagraphs on gallereplay’s profile.